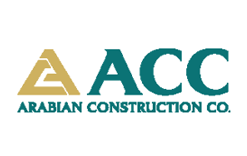 Founded in Lebanon in 1967, Arabian Construction Company (ACC) has grown to become one of the Middle East's leading construction companies. We specialise in complex and prestigious construction and infrastructure projects. Our portfolio includes some of the region’s most iconic landmarks, from super high-rise luxury developments, to five star hotels, hospitals and intricately sophisticated smart buildings. We have also constructed vital infrastructure and oil& gas projects, including desalination plants, power plants and marine projects. Our established contacts in the region, a highly skilled and dedicated team, our innovative methods and an exacting standard for completion have earned us a competitive edge well recognized in the industry.